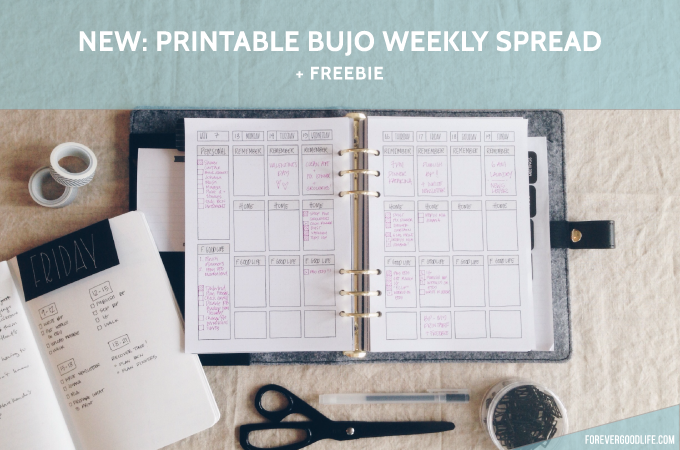 Do you sometimes find yourself feeling a bit stressed out because you simply have no time to create the next weekly spread in your bullet journal? 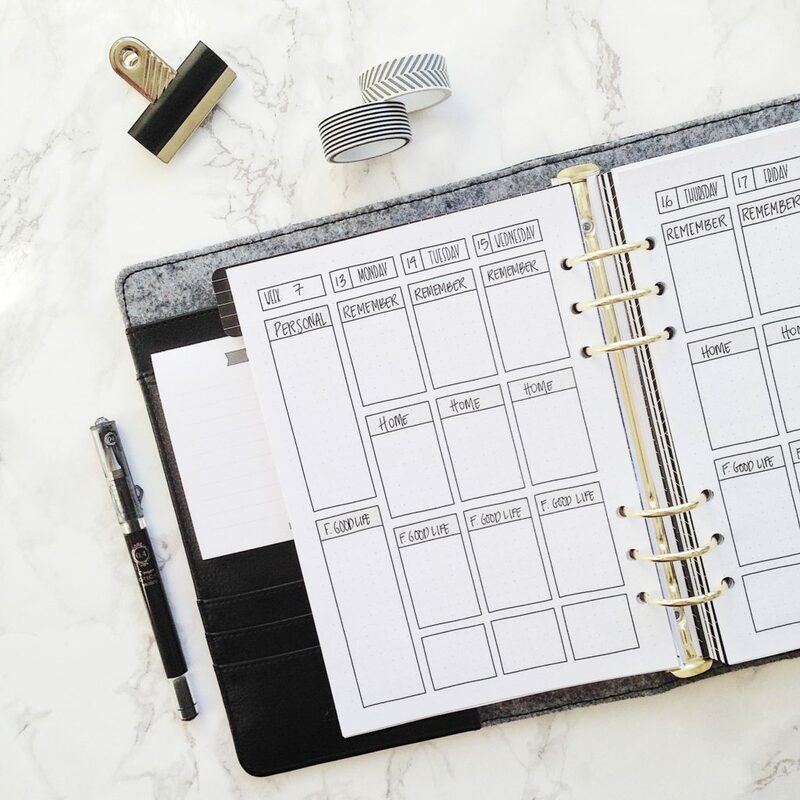 As much as I love my bullet journal and all it’s flexibility – sometimes I do get stressed out about creating my spreads. Jaja, I know I don’t have to make the spreads as elaborate or pretty as I tend to do. But even when I decide to keep it minimalistic it can still require more time than I have to set it up. So, I bought a Kikki.K planner with the intention to create printable planner inserts that I could use with it. I’ve worked on some different ideas. 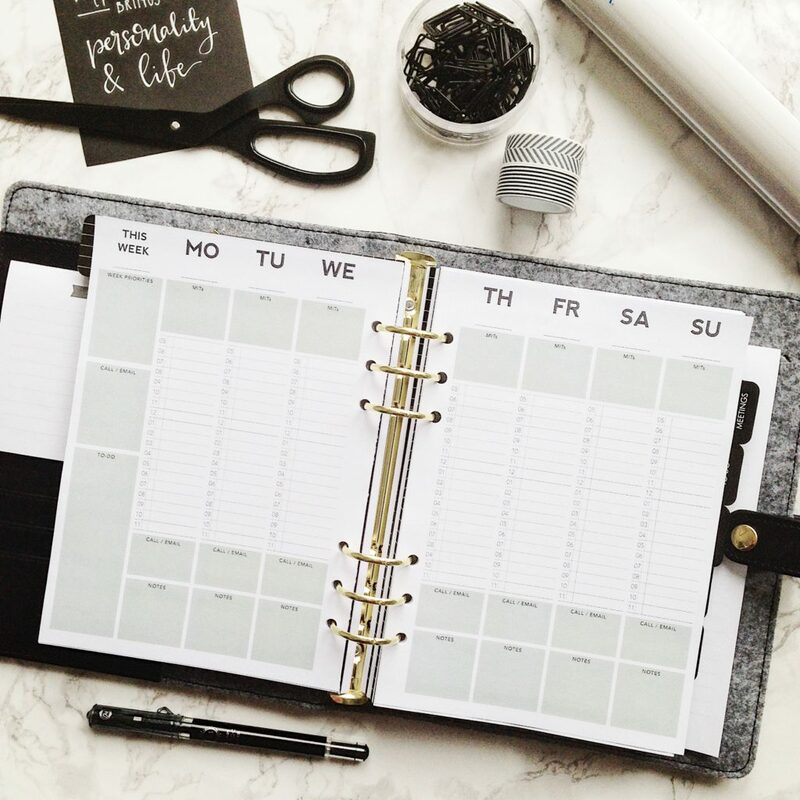 I started out with a design that looks like an ”ordinary” planner, with its clean lines and typography. Although I love the clean feel of it I felt it was missing something. I wanted to make it more personal. I wanted to get that same feeling I got from my bullet journal. So I created a hand lettered horizontal layout. It’s a replica of one of my favorite bullet journal weekly spreads. I use the left page for tasks, appointments and such. And the right page I divided up in two sections: the left side which I used for doing something creative, like hand lettering a quote or doodling (but alas, in this version you see below I did no such thing. Well, sometimes you just go through a productive, non-creative week….). And the right side I used to list to-do’s for the week. I’ve created a new free printable and added to the Good Life Tribe Library. If you want to get your hands on it get on over here to sign-up and get access to both this printable and a whole lot more. 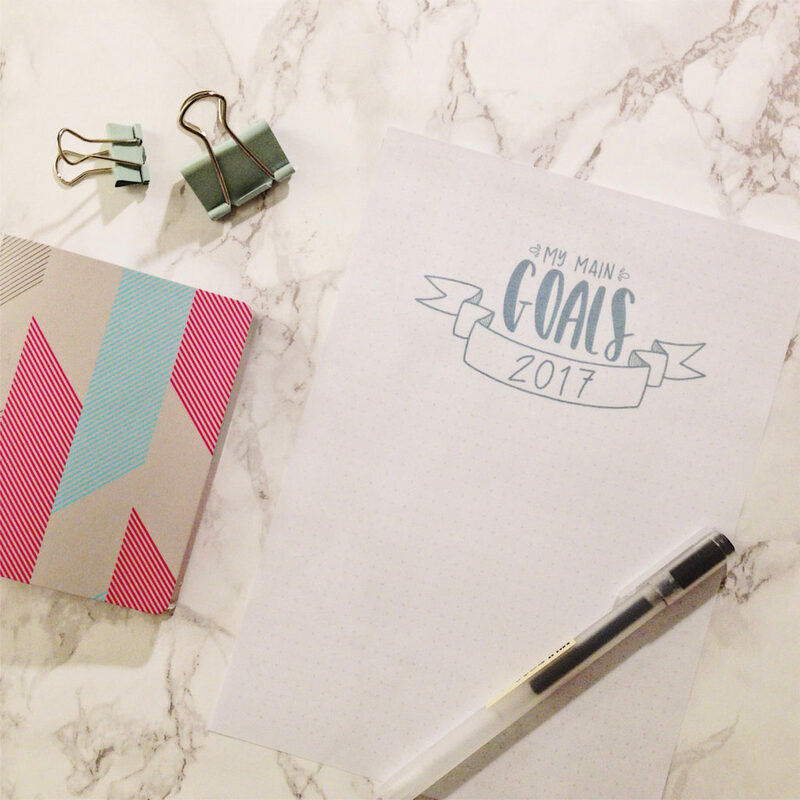 The free printable is simply this pretty “My Main Goals 2017” and the dotted grid – making it super easy for you to write down your own main goals for 2017 and keep it somewhere you’ll see it everyday. 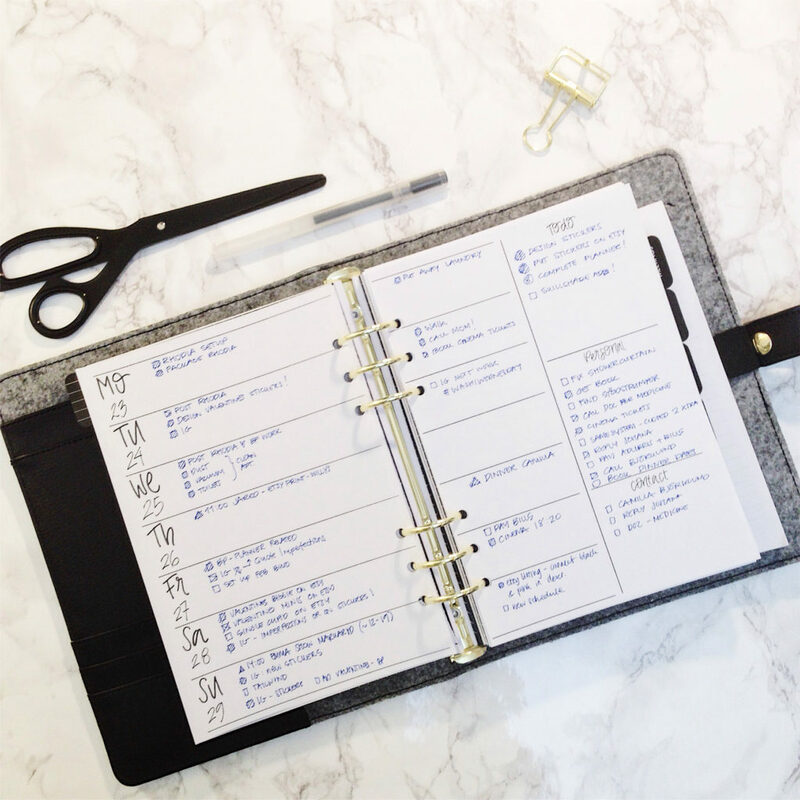 Do you ever get stressed or find you don’t have time to create your bullet journal spreads? How do you handle it?